The Atari Jaguar, the 3DO, the Philips CDi - the list of failed video game consoles goes on and on. On this episode of retro gaming podcast Passion for Pixels, we look at why some consoles fail, and why others succeed. Does the Sega Dreamcast qualify as a failure? It sold almost 10 million units, which sounds like a lot, but when Sony sold 150 million units of the PlayStation 2, it wasn't enough to keep Sega in business as a console manufacturer. We also talk about the obscure Halcyon system by RDI, makers of Dragon's Lair. 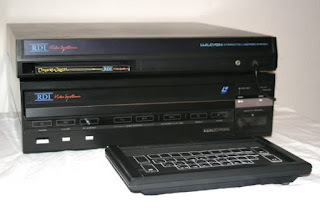 The system sported voice activation, a laserdisc player, a planned price tag of 2500 dollars in 1985, and was based on a famous and murderous movie AI. Does it sound like a good idea for a gaming console? Listen to the full story and judge for yourself.